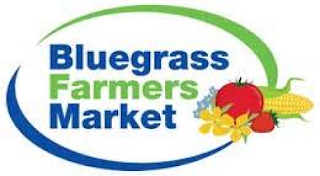 I live in a small rural community of Kentucky and am a member of the Bluegrass Farmer's Market of Lexington - a " Kentucky Proud" market place- which means, each of us grow ever thing we sell at the marketplace and we are members of " Kentucky Proud". Carrots- the new and healthy "Junk Food"
As one of the most popular root vegetables in the U.S. - and widely enjoyed in many other countries as well - carrots almost feel like an old friend for many people who are looking for just the right crunchy snack or addition to a salad. One study of 8-11 year-old children in France who were given pictures of 54 vegetables and were mostly likely to pick out carrots (along with lettuce and tomatoes) as easily identifiable and likeable vegetables. In the U.S., there seems to be an equal liking for carrots at the other end of the age spectrum as well. Individuals 76 years of age and older eat twice as many carrots as individuals under 40, with the overall average being about 1 cup of carrots per week. Carrots belong to the Umbelliferae family, named after the umbrella-like flower clusters that plants in this family produce. As such, carrots are related to parsnips, fennel, parsley, anise, caraway, cumin and dill. Carrots can be as small as two inches or as long as three feet, ranging in diameter from one-half of an inch to over two inches. 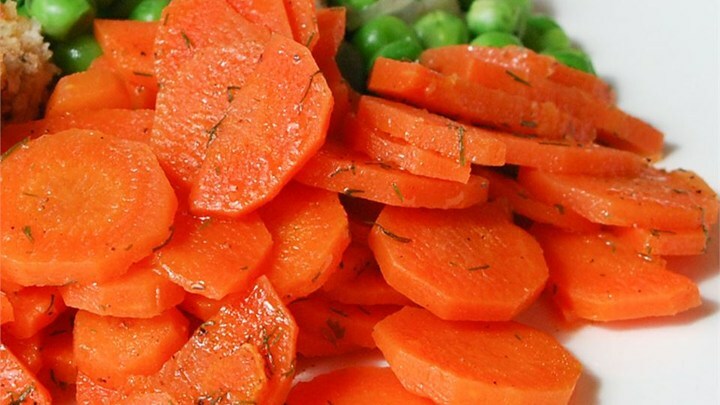 Carrot roots have a crunchy texture and a sweet and minty aromatic taste, while the greens are fresh tasting and slightly bitter. While we usually associate carrots with the color orange, carrots can actually be found in a host of other colors including white, yellow, red, or purple. In fact, purple, yellow and red carrots were the only color varieties of carrots to be cultivated before the 15th or 16th century. Thanks to the allrecipes.com website for this quick and easy recipe and the photograph.